Just in time for winter. 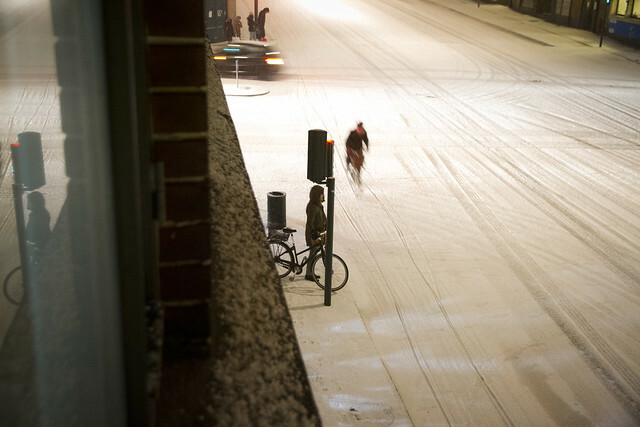 The first snow fell on Copenhagen today. The bicycles rolled on. 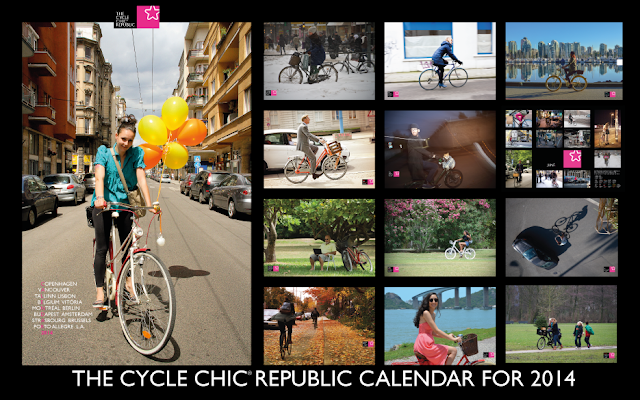 Almost by coincedence, we launched The Cycle Chic Republic Calendar for 2014 at the same time. It's the sixth annual calendar from us here at Cycle Chic and this year we have featured photography from a whole bunch of the great people with blogs in the Cycle Chic Republic. 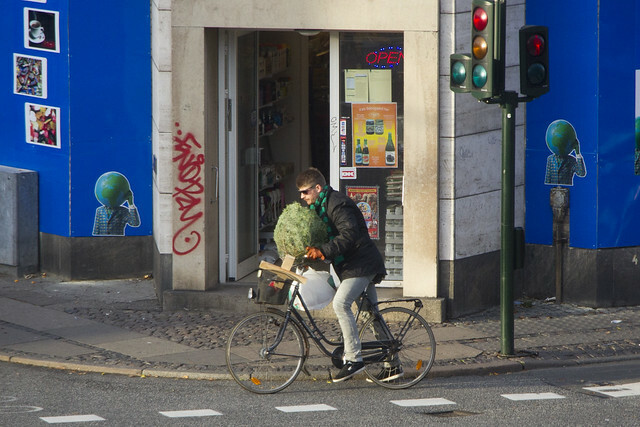 Almost by another coincedence, we spotted the first christmas tree of the season(of many) transported by bicycle here in Copenhagen.